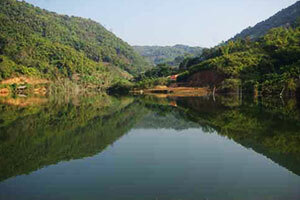 Huai Pu Reservoir Located at Moo 1 is a place to relax and have a beautiful nature. Around reservoir area, there is a delicious, clean restaurant and not expensive. Travel Route 107 Chiang Mai - Fang route and then go to Route 1098 Fang - Mae Chan. Away from Mae Ai about 6 kilometers.